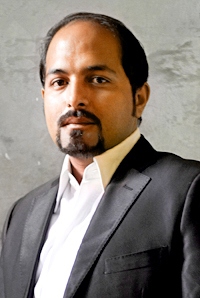 Imran Khan has been the Operation Manager with SEED since 2005. Imran with his excellent execution skills has shown sheer brilliance to events and outdoor campaigns for SEED’s clientele. With his remarkable talents of diligence, attention to detail, and people management skills, Imran consistently delivers excellence to all projects he works on.